The man suspected of planting explosives in New York City and New Jersey is expected to make his first court appearance nearly a month after was shot in a gunfight with police. Ahmad Khan Rahami is expected to be arraigned for state charges in New Jersey related to the shootout on Thursday at the Union County Courthouse. Those charges include attempted murder of a law enforcement officer. 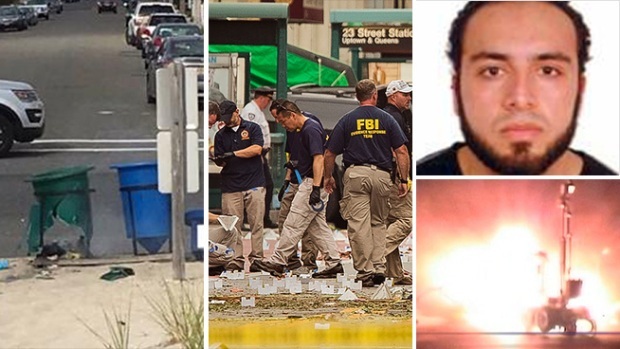 It's not clear when he'll make a court appearance on federal terrorism-related charges connected with the Sept. 17 bombings in Manhattan's Chelsea neighborhood and Seaside Park, New Jersey. He'll have to be transported to New York for arraignment on those charges. Thirty-one people were hurt in the Chelsea explosion, and additional unexploded devices were found in Manhattan and Elizabeth, New Jersey. No one was hurt in the explosion in Seaside Park, which was along a Marine 5K race route. Rahami has been at University Hospital in Newark recovering from multiple gunshot wounds in the shootout with police who found him sleeping in a doorway in Linden amid a national manhunt two days after the bombings. Court officials said he will be arraigned at his hospital bed using videoconferencing software. His attorneys, with the American Civil Liberties Union, have previously declined to comment on the case.